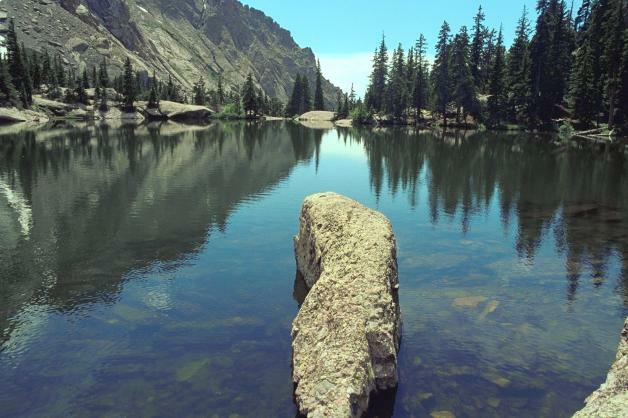 How to get there: We approached this peak via the Willow Lake trailhead. This trailhead is about 3.7 km from the small town of Crestone. When entering Crestone go two blocks north and make a right on Galena street. Crestone is 22.5 km east of Moffat, the turnoff is about one kilometer south of Moffat on Hwy 17. One reaches Moffat by going north on Hwy. 17 from Alamosa or by going south from Poncha Springs on Hwy 285, then taking Hwy 17 (forks of 285 to the left). This trail leaves the trailhead, crosses the creek and enters some open grassland. There is a trail going straight here, do not take this, but hike the trail that heads up the hill. There is a trail register partway up this initial slope. The trail then makes 12 switchbacks to the top of the hillside. As the trail crosses this crest it enters the Willow Lake drainage, but stays well above the valley floor on the north side. The trail continues its climb and crosses the Willow Creek before climbing a distinct step in the valley on the south (right) side of the creek. After reaching more level terrain, the trail again crosses the creek and climbs more gently about a 100 m (vertical) to Willow Lake. 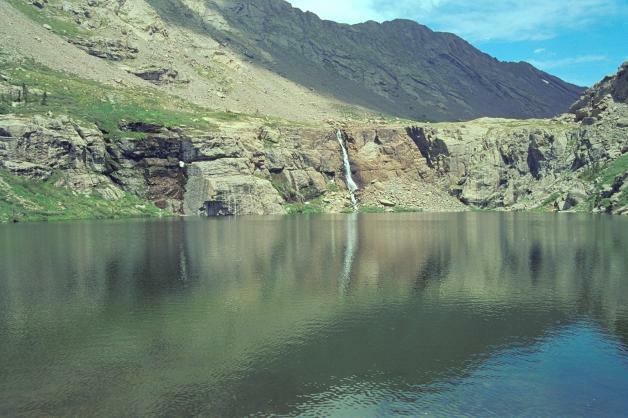 From Willow lake, follow a good trail on the suth side (left) of the lake as it climbs left and reaches the top of the cliffs that are at the eastern end of the lake. From here one can see the slope of Challenger over to the right, Kit Carson Peak is clearly visible as the highest, fairly square looking peak to the left of Challenger. 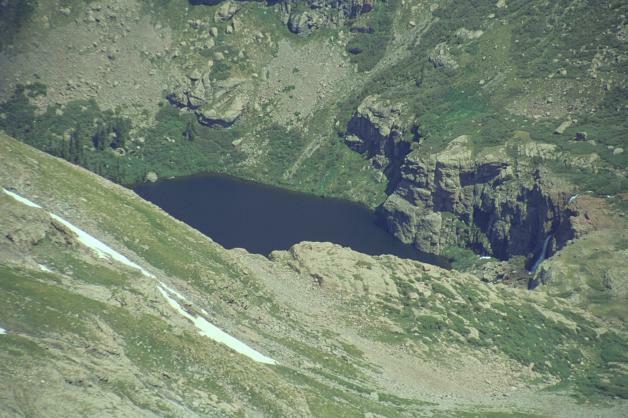 The snowfield leading up to the col between Challenger and Kit Carson Peak is also easily seen between the two summits. There is a fairly clear trail that heads over to the Challenger slope and ascends it heading slightly toward the right. What appears to be the highest point when seen from below, is a rounded top with fairly steep rock. This is not the summit, but the trail will climb the ridge to the right, then follow an ascending traverse to the left that ends up in a gully below and slightly to the right of this rounded, steep rock. Some easy class 2+ scrambling gets you up this gully (heading right) and the route regains the main summit ridge. From here the ridge is somewhat difficult to follow and the trail drops to the opposite side of the ridge and traverses a couple of gullies. The first of these is quite a bit exposed and crosses on solid rock with good holds for hands and feet. I will still rate this passage class 3 and, in fact, the most difficult part of the entire route from Willow Lake, not only to Challenger Point, but to the summit of Kit Carson Peak. The trail regains the top ridge and there is still some way to go (surprisingly long) before Challenger Point is reached, however, this part of the ridge is easy hiking. From the summit one can continue to Kit Carson Peak along a very easy route. One should descend the same way, see further comments under Kit Carson Peak. Comments: I did this hike with Pål Jørgen, age 12. This climb was the first part of the climb of Kit Carson Peak, see this entry for more details. 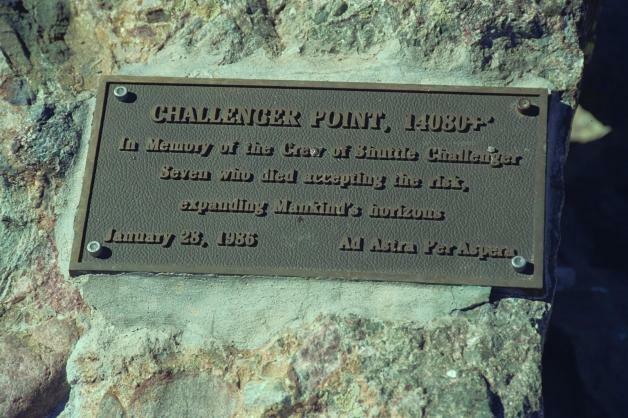 There is a memorial marker at the summit in memory of the 7 crew that lost their lives in the accident with the space shuttle Challenger. 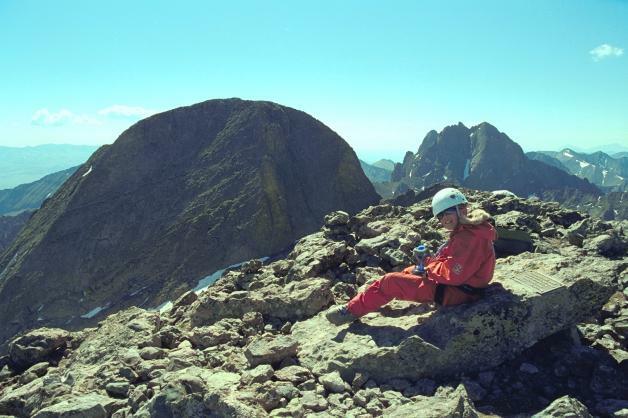 The summit of Challenger Point, Kit Carson behind to the left, Crestone Peak behind the helmet. 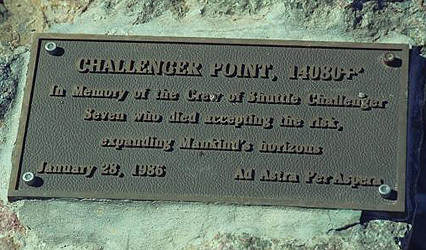 The Memorial Marker on the summit of Challenger Point. Willow Lake, as seen from the slope of Challenger Point. Willow Lake, the view is east. Willow Lake, the view is west. 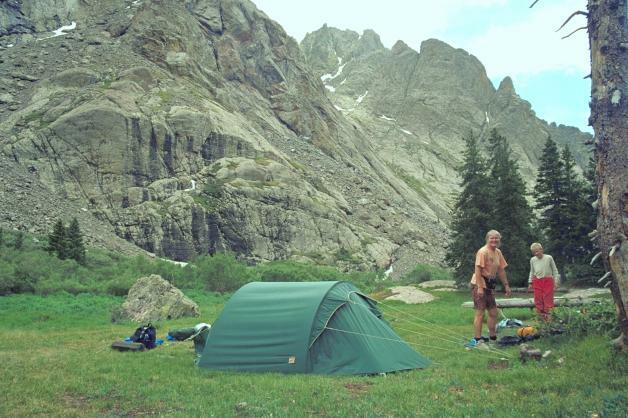 Base Camp near Willow Lake.